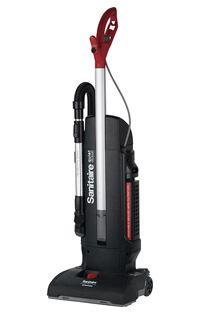 Sanitaire SC9180 is durable, versatile, maneuverable and easy to maintain, This Quiet Clean 4 quart sealed-HEPA Commercial upright vacuum with patented telescopic wand is a CRI and LEED certified workhorse that makes cleaning carpets and bare floors effortless. The disposable dust bag system and 50-foot Quick Change cord make for simple maintenance. 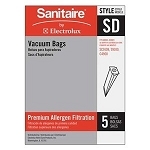 Compare this Sanitaire commercial vacuum SC9180B to other popular dual motor vacuums and you will see the value Sanitaire has put into their commercial vacuums. This is a great vacuum! In our office there is heavy traffic and there is constantly dirt being brought through the office. Our last vacuum didn't get all of the sand up. This vacuum however did... After two passes with the vacuum the sand was gone, it has actually made out carpets look cleaner. Would definitely recommend this other people. Was easy enough to assemble and was much lighter then I anticipated. This vacuum is impressive so far. The dirt and rocks that end up on the floor can kill a normal vacuum in less than 2 weeks, but this one is still going. I really like the heavy duty very long cord and that it's much quieter compared to most. I'm not thrilled with the built in brush on the hose. It's really skimpy and I would much prefer being able to attach a brush. 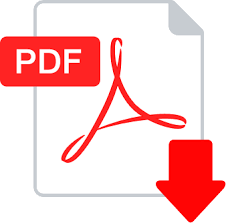 Vacuum makers must not use their products or they would quickly find out that the end of the hose should be flexible without the rigid section inside. A: Yes the brush roller can shut off so that you can use the tools or vacuum on hard surface. Q: would this vacuum work on rugs? the commercial ones that are in entry ways at businesses. Q: how much do your vacuums weigh ? Q: does the beater brush stop rotating when the vacuum is in the upright position and I'm using the crevice tool? A: The is a switch for that, and also a valve so that the suction goes to the tools instead of the nozzle. Q: after looking at this product on amazon and on buysanitare.com I have a couple more questions. I will be using this vacuum on bare floors but especially want it to work on the commercial style entryway rugs. ONe review said that they didn't work well for low rugs. Another concern I have is that one review (2015) said the cord rubs and then wares and is dangerous. A third question I have is on the brush. one review said the brush does not work on upholstery yet on sanitare.com it is advertised as an upholstery brush. Thank you for your help. I want to make sure I get a vacuum that does what I need it to do. ? 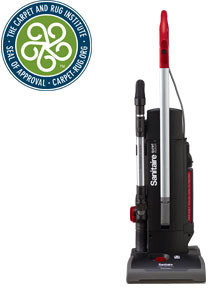 A: This vacuum has height adjustment setting allowing it to work on all style of carpets and hard floor surfaces. Cord do wear down after time what happens in most cases is people tend to run over the cord which will cause wires to be exposed. The upholstery questions makes no sense but I am assuming that we are talking about the dusting brush, if so a dusting brush is really not the best tool for doing upholstery cleaning. A: The switch on the SC9180 will divert the air flow from the nozzle to the tools and visa verse. You do have a dual motor here, one for the brush roller, and the second for suction. Q: Can you switch the brush off for bare floors? Q: Do you sell other attachments for the hose? Do you sell a longer hose? Q: Good Morning, I have this vacuum for only a few weeks. Vacuum suction is great! However, it's hose suction is really poor (I do switch the mechanism to hose/attachment) I noticed it from the first use. Is this normal? Am I missing something? How can I get a greater hose suction to pick up more that a crumb? Thanks for your help. A: It sounds like you are doing the correct thing when switching over to the hose. I would check for obstruction in the hose by trying to pick up a quarter.